When it’s built, off course tidal power is free. It’s having no greenhouse gas emissions and no other wastes. Its maintenance is not so expensive. Offshore turbines and vertical-axis turbines are costly but not so much to build. And they are having no major environment impact also. Its renewable energy. The tides will continue to ebb and flow, and will produce the power. One tidal plant after implementation can produce energy for 75 to 100 years. For generating power it uses cheapest source as fuel which is water. Electricity production is reliable through tidal energy. It protects the coastline against the damage from high storm tides and provides a ready made road bridge. Until the moon exists and earth is spinning till then nothing can stop tidal flows. It causes a continuous loss for mechanical energy in the earth-Moon system. Energy loss causes the earth to slow in the 4.5 billion years since formation losing 17% of its rotational energy. It may take extra energy from the system which will increase the rate of slowing over the next millions of years. It’s having same effects like large dams; that it affects the flow of saltwater in and out of estuaries. This will change the hydrology and salinity, and can having possible negative affects over the marine mammals that use the estuaries as their habitat. When smaller volume of water exchanges between the basin and the sea the turbidity decreases. It decreases the salinity inside the basin which also affect on the ecosystem. The barrage which is build across an estuary is so much expensive. But that barrage affects a wide area and changed the environment for many miles downstream and upstream. Usually it harms the coast birds because they get food from the mud which is uncovered by tides. It provides power only for 10 hours in a day. And that’s only when the tides are moving in and out. Tidal energy only produces 7% of electricity in England. Which means very few population can use that free energy while pay lot of money for other type of electricity. The mud flats or habitat that birds or animals live on are destroyed. As the water can not flow away so all the dirt and pollution ligers around the coast. It disrupts the creatures’ migration in the ocean. A lot of maintenance is needed for barrage systems for their salt resistance parts. The people who rely on fishing are affected by it also. Like other renewable energy and conventional power generation it’s so much expensive. Its maintenance is complicated because of sea-basing generation facilities. It destroys the ecosystem at the bay. Only few places are suitable of tidal energy production. which type of tidal power is this? barrage, stream, turbine...? These prose and cons of tidal energy are in general not for any specific type! 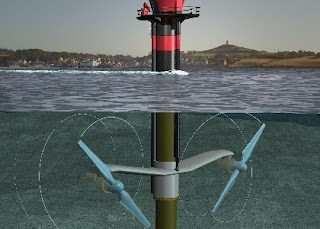 Based on the assumption of the tidal energy, now there are several plants built on the same technology. South Korea’s 254MW Sihwa Lake tidal power station is the world’s biggest tidal power plant. However there are many more based on this. Here is the list of five of the world’s biggest tidal power plants, including those both operational and under construction.